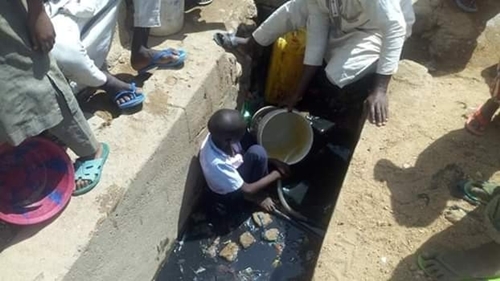 The poor living conditions of some Nigerians in a Bauchi community have been revealed in new photos shared on social media as the State Government was publicly called out. 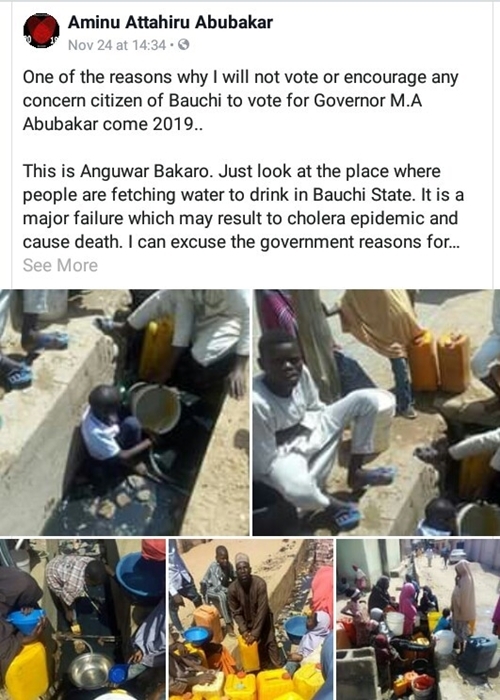 A Nigerian identified as Aminu Attahiru Abubakar, took to social media to call out the Bauchi State Government for their non-chalant attitude towards handling the affairs of the state. "This is Anguwar Bakaro. 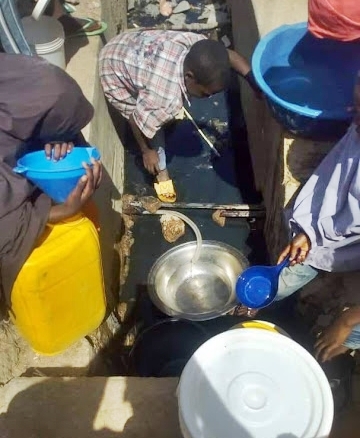 Just look at the place where people are fetching water to drink in Bauchi State. It is a major failure which may result to cholera epidemic and cause death. "I can excuse the government reasons for failure to complete other projects but if they cannot provide ordinary tap water for people in 4yrs, what excuse should I give them? Haba Dan Allah! "With all due respect to His Excellency, I like him as a person but his nonchalant attitude towards handling the affairs of our state is totally uncalled for. And his failure to fulfill his campaign promises such as providing water to the citizens is one of the reasons why I want him out of office. Let's try another person gaskia."